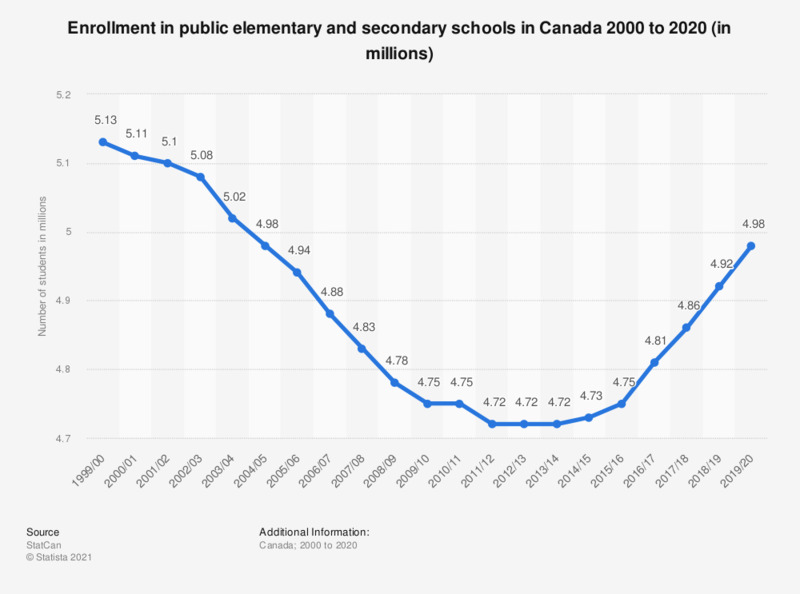 This graph shows the total number of students enrolled in public elementary and secondary schools in Canada from 2000 to 2017. In the academic year 2016/17, about 4.81 million students were enrolled in public elementary and secondary schools in Canada. The enrolment count represents the number of students (headcount) in September (or as close as possible thereafter) of the school year. Does your school have a physical education (PE) Continuing Professional Development (CPD) strategy for staff?